47 members have just returned from a week's holiday organised by the Tours sub-committee to The Lake District. Staying at The Cumbria Grand Hotel in Grange-over-Sands, we had a great week. 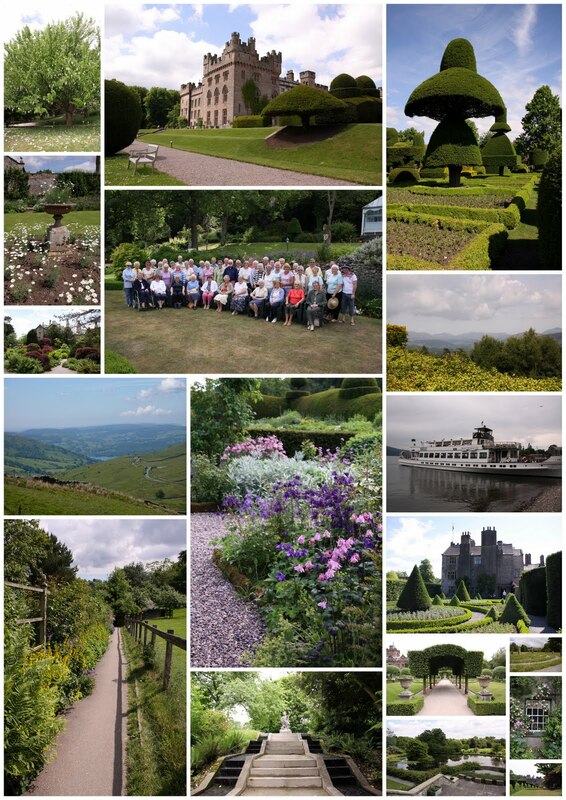 Wall to wall sunshine and six garden visits with a cruise on Lake Windermere too, it was a fun filled and hectic week. A short boat cruise along the River Dart from Dartmouth to Greenway House jetty was enjoyed by members on a bright sunny day.